Emotional distress and increased appetite are often lesser discussed symptoms of menopause, but they still impact many women as they transition through this natural process. 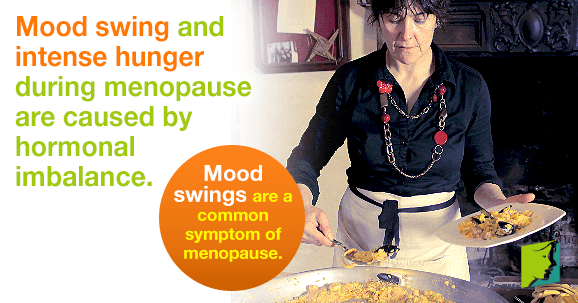 During menopause, some women feel overwhelmed, anxious, and depressed if mood swings and appetite changes disrupt their lives. The changes in mood can be unpredictable, frustrating, and lower the quality of life for women who are experiencing them. Fortunately, there are several effective ways of dealing with emotional distress and mental health issues connected to perimenopause. What Are Emotional Distress and Increased Appetite? Perimenopausal women may experience emotional distress because of the fluctuating hormone levels happening in their bodies, or because of other psychological or environmental triggers. Because some people tend to make stereotypes and wrong assumptions about emotional changes in perimenopausal women, these women may feel isolated or like no one is listening or trying to understand them. Much more research needs to be done to better understand women as they approach menopause and how their brains and bodies are changing during this period of their lives and what the best treatments for each women is. Why Am I Experiencing Emotional Distress and Increased Appetite? More research needs to be done on the link between emotional changes, increased appetite and perimenopause, but perimenopausal emotional distress can be broken down into two different groups: psychological and physiological. Physiological emotional distress is usually a result of hereditary factors and characterized by a chemical imbalance in the brain. It is often directly connected to menopause. Psychological emotional distress can be caused by a variety of mental health issues and problems or the changes with work, family, income, and stress that tend to impact many menopausal women. Hormones like estrogen directly influence a person's mental state. Estrogen helps regulate levels of serotonin, a neurotransmitter that regulates mood. Therefore, if a person's estrogen levels fluctuate, so do their serotonin levels and their mood. What Can I Do about Emotional Distress and Increased Appetite? It is a good idea to keep a calendar of your mood and when you are experiencing low points. If you recognize a cycle or a pattern in how you feel, you may be able to connect it to your menstrual cycle, and this could signify that what you have been experiencing is a result of changing hormone levels. If your emotional changes are more sporadic or irregular, it may be due to an environmental trigger like stress caused by family, work, or other changes. It is also recommended that if emotional distress or increased appetite is having a negative impact on your daily life that you visit your doctor or gynecologist, who will be able to give you more specialized help. Seeking out counseling or therapy can also help you work through and cope with any mental health issues you are experiencing. Low levels of certain hormone replacement therapies have been shown to help perimenopausal women who are experiencing emotional distress and other symptoms of menopause. Doctors may also prescribe antidepressants to go along with the hormone replacement therapy. For many women, this combination provides relief and allows them to live their life fully. Maintaining a healthy lifestyle by following a balanced diet and regular exercise regimen will help improve your overall well-being. Click on the link below for further information about the different treatments for mood swings. Learn what endometriosis is, it's causes, and how to better address this emotional and painful condition.